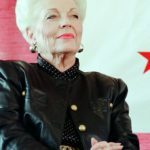 Ann Richards was an American politician and the 45th Governor of Texas from 1991 to 1995. A Democrat, she first came to national attention as the state treasurer of Texas, when she delivered the keynote address at the 1988 Democratic National Convention. Richards was the second female governor of Texas, and was frequently noted in the media for her outspoken feminism and her one-liners. "I’ve always said that in politics, your enemies can’t hurt you, but your friends will kill you." "I travel all over the country making speeches for people I believe in." "Jesse Jackson is a leader and a teacher who can open our hearts and open our minds and stir our very souls." "I have always had the feeling I could do anything and my dad told me I could. I was in college before I found out he might be wrong." "Well, you know my number one cause has always been that women’s reproductive health needs to be protected." "I work very hard on my health, and I think about it, of course, like I’ve never thought before." "We’re living in a whole new social and economic order with a whole new set of problems and challenges. Old assumptions and old programs don’t work in this new society and the more we try to stretch them to make them fit, the more we will be seen as running away from what is reality." "Teaching was the hardest work I had ever done, and it remains the hardest work I have done to date." "Let me tell you, sisters, seeing dried egg on a plate in the morning is a lot dirtier than anything I’ve had to deal with in politics." "Weight-bearing exercise builds bone density, builds your muscular strength so that you can hold your body up where those bones have a tendency to get weak."